Rental incentives — which landlords have been using all year to fend off increasing vacancy rates and dipping rents — are no longer working as they once were. Last month, the Manhattan vacancy rate hit 2.6 percent, the highest level it’s been all year, according to the monthly report from Douglas Elliman. The median net effective rent slipped slightly to $3,334, while the share of new leases with concessions hit 27 percent, up from 15 percent last year. 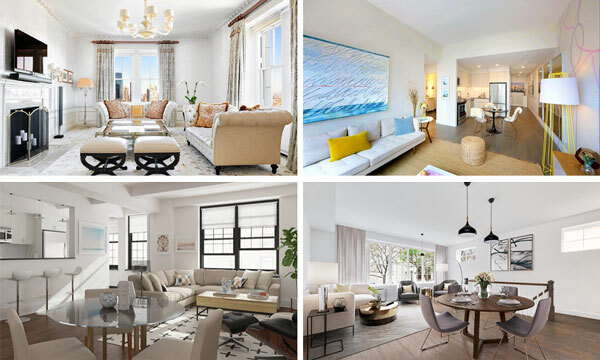 The median rental price of a Manhattan studio was $2,600 a month in September, according to the report, while the luxury median price — which represents the top 10 percent of the market — hit $8,200. The median price for a doorman building unit was $3,875, while the non-doorman price hit $2,950. Overall, the days on market was 43 and the listing discount was nearly 3 percent. In Brooklyn, the net effective median rent fell by 6 percent to hit $2,757 in September. That decline is largest drop since March 2015, according to the report. As is the case in Manhattan, concessions are no longer keeping sliding rents at bay. “We’ve reached the point where we are going to see more aggressive declines in face rents, just to get it in sync with the large amount of supply,” Miller said. Concessions were part of 20 percent of all new leases in the quarter. The median luxury rental price was $5,500, while the median for a studio was $2,510, according to the report. Days on market was 41 and listing inventory was at 2,467. In Queens, Miller predicts that there will be more discounts, rather than concessions, ahead. The median net effective price there hit $2,717. Listing inventory was at 516, an 11 percent year-over-year increase. Leases with concessions made up 43 percent of the market, a figure that is driven by the fact that 38 percent of the rentals on the market are new development.